Refrigerators and freezers manufactured prior to 1995 contain hazardous refrigerant that contain chlorofluorocarbon refrigerant. When improperly released into the atmosphere they become greenhouse gases that linger for a long time. They break down at high altitudes and contribute to the depletion of protective ozone layers. This leads to ozone depletion and increased ultraviolet light. Our EPA 608 certified technicians properly remove the CFC refrigerant found in refrigerators and freezers manufactured prior to 1995 using equipment that is registered with the EPA. 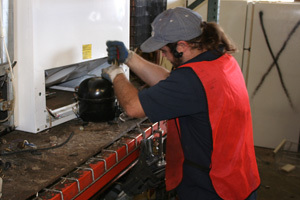 We then properly store the refrigerant and recycle it with EPA certified recyclers. We also utilize the same equipment to recycle the newer refrigerants found in refrigerators and freezers manufactured after 1995. Additionally older appliances can contain hazardous PCB capacitors as well as mercury switches. 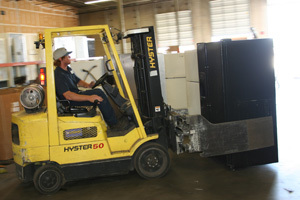 We properly store and dispose of all hazardous PCB capacitors and mercury switches. 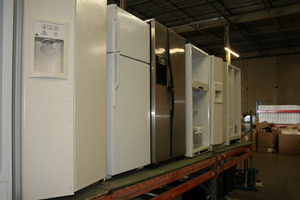 We also drain and recycle all oils that are found in refrigerator compressors. We recycle with integrity. Please feel free to contact us if you have any questions or concerns.